The REACH Foundation has been funding in the area of access to oral health services since the start of grant making in 2005. The Board recognized the health problems occurring due to the shortage of dental services for low-income and uninsured people. Over the years, REACH has funded a number of programs and initiatives in this area in an effort to expand availability, increase prevention, educate families about early childhood care, support stand-alone dental clinics, and provide dental screenings and referrals, and more. The gap in dental services isn’t just a Kansas or Missouri issue; it’s a problem recognized in many parts of the country. Nearly four years ago, REACH began participating in discussions with other health grantmakers around the country to determine how to advance an approach to integrating oral health within the primary care setting. Those discussions, and years of work with leaders and providers in the oral health and primary care fields, resulted in the development of an Oral Health Delivery Framework, a model for integrating oral health into primary care. This framework, with its focus on preventive care, gives us another avenue for investing in expansion of oral health care. REACH has been working with a number of community health centers and Federally Qualified Health Centers (FQHCs) in Kansas City over several years to help them adopt a patient-centered medical home model of care. The medical home model sets the stage for comprehensive and coordinated care – that includes oral health services. REACH looked to one of its nonprofit partners, Rodgers Health, to be a pilot site for this oral health integration approach. In 2015, the foundation awarded a $75,000 grant to Rodgers Health to help the organization plan and implement an oral health integration effort at Rodgers’ Lexington Clinic. 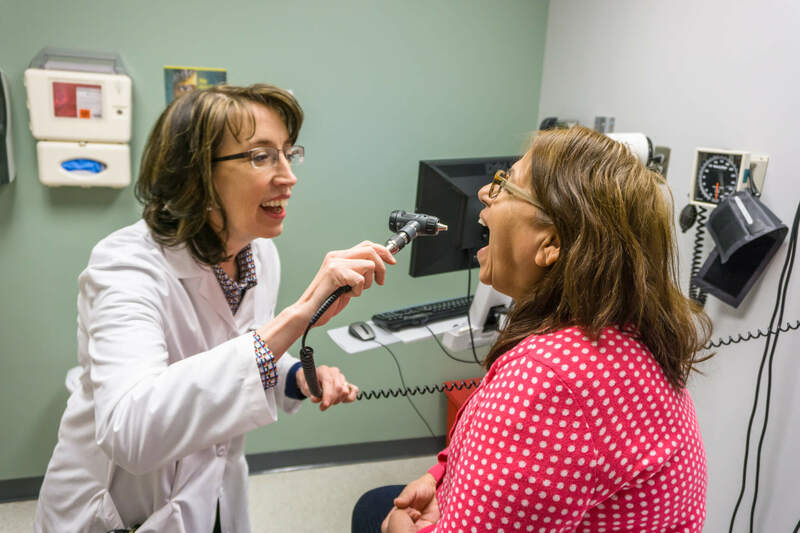 Tina Moore, the nurse practitioner at the Lexington clinic said the first important task was to develop a “map” of the patient flow – starting from first contact with the patient, to the completion of a visit and follow-up. By mapping the process, they could see how adding in the oral health screening and sealant application, as well as patient education on oral health and other tasks, would fit into the medical visit. That work was completed with help from Qualis Health, a quality improvement consulting group, that provided guidance and training assistance through the process. Similar to adopting other patient-centered processes that are part of the medical home model, Moore and other members of the health team noted that aside from the process adjustments, there was also a “hurdle of change.” They needed to take steps to introduce this new approach by asking providers in the medical clinic to take an active role in preventive oral health care. Dr. Sudeep Ross, Chief Medical Officer, said that process started with staff education to emphasize the connection between the health of the mouth and the rest of the body. There was training on conducting oral screenings, applying fluoride varnish, and using new electronic medical record templates that help the medical assistant and health provider collect patient information and document any oral health concerns, as well as create a referral for a dental visit. Ross said that “our IT department helped tremendously as we figured out how to integrate additional screenings and procedures into an already full medical visit.” He said they also took time to listen and respond to providers’ concerns. One unexpected outcome of this integration project: referrals for dental exams spiked, causing a need for the Rodgers Health team to regroup to figure out how to handle that capacity. Rodgers Health began this effort in its rural clinic in Lexington, but has since expanded to Cabot Westside Medical and Clay County Family Medicine. Implementation is also underway at the main location at downtown campus. In addition to funding local efforts to approach integrated oral health, the REACH Foundation has contributed to discussions and publications in conjunction with other regional and national funders to boost awareness of and access to oral health care. In 2012, the REACH helped to fund the preparation of a white paper on optimal approaches for integrating oral health into a medical home. The publication developed out of the work of a group of foundations that invest in oral health care. 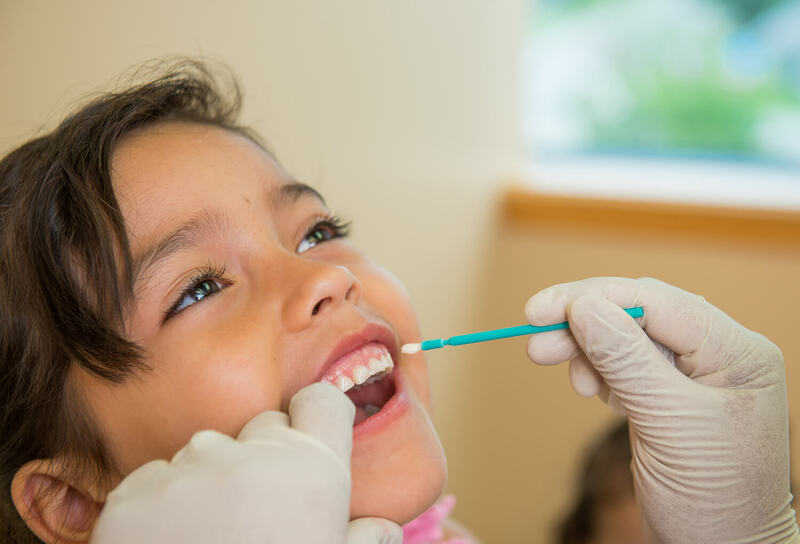 That group, called the Funders Oral Health Policy Group, has worked on a number of reports and supported other pilot efforts to address oral health needs of underserved populations. REACH has also supported another effort to outline a model for integrating preventive oral health care into routine medical care. The integration of oral health into primary care complements REACH’s commitment to patient-centered, comprehensive and coordinated care. As part of our Theory of Change, we continue to support programs that work toward the ultimate goal of achieving health equity.